Since CPR is often performed by 2 rescuers, it just makes sense to have a 2 rescuer RespondER® AED/CPR Pack! 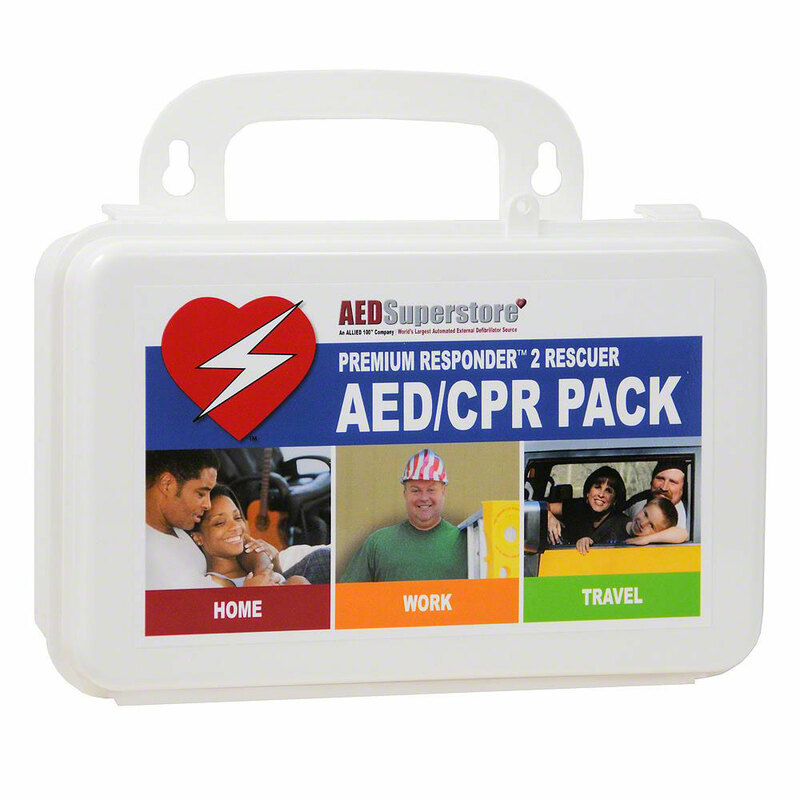 The AED Superstore® has the finest and most useful kit you'll find anywhere. Saving someone's life is serious business; this is why our kits contain field-proven tools to help you prep your patient for the application of the AED as well as CPR. It also provides you and a rescue partner protection from contaminants during a rescue. All components are single-use, latex-free, and disposable. 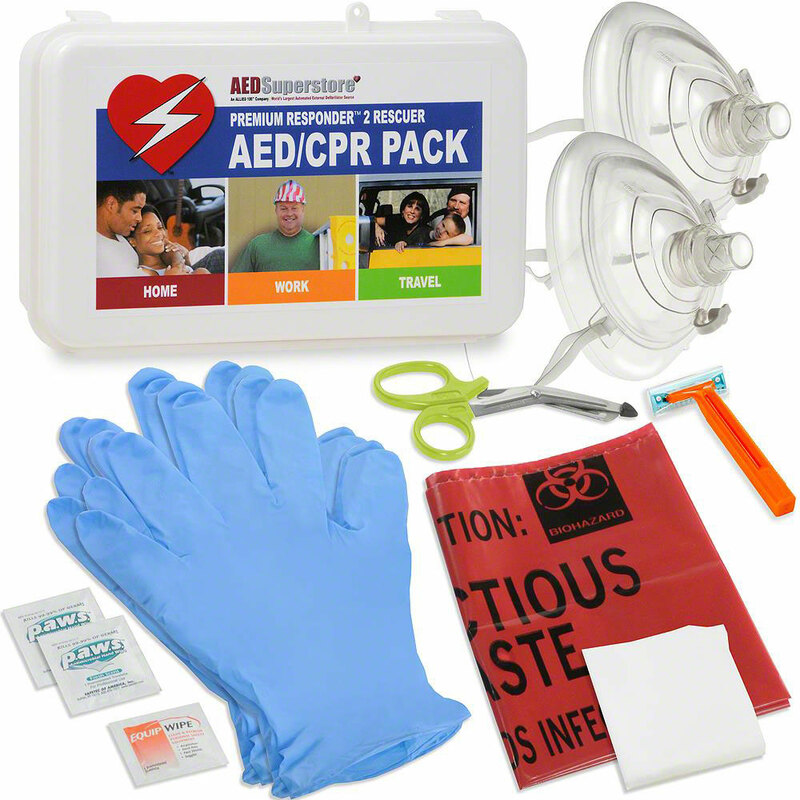 Everything in this pack is contained in a durable hard case with built-in handle/hanging bracket for easy placement by your AED. Kit measures 8¼" x 5½" x 3". •Durable hard case...with built-in handle/hanging bracket.